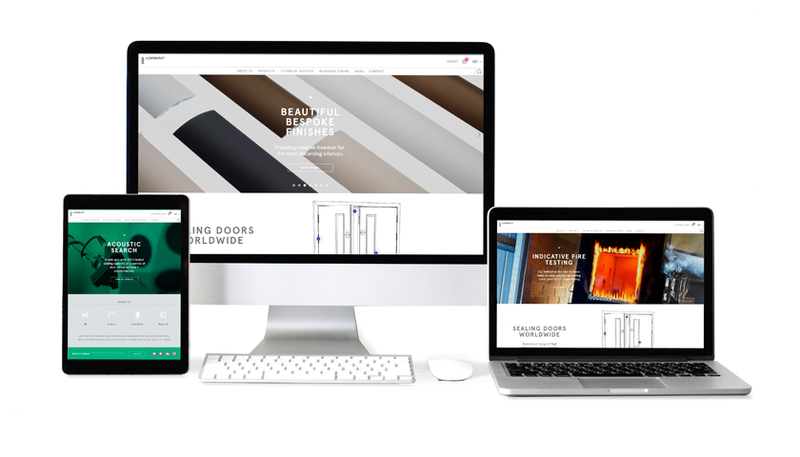 Lorient, designer of Sealing Systems, launches new website ..
Lorient, respected designer and manufacturer of sealing systems for door assemblies is thrilled to officially announce the launch of its new website, that showcases Lorient’s innovative range of products and services. The new website features a clean, contemporary design with an intuitive site-wide navigation system and enhanced search functionality, enabling quick and easy access to helpful information. The structure of the content has been improved with a new resource centre – home to a CAD and fitting instruction library, FAQs, a glossary, videos and animations; and much more. An interactive doorset has been introduced on the homepage, which clearly sets out Lorient’s complementary range of products from architectural seals, air transfer grilles to ironmongery protection. Lorient’s popular ‘Acoustic Search’ app; which provides access to 100’s of tested acoustic sealing systems on a variety of popular door constructions and configurations has also been redeveloped in line with the new website, improving both its design and functionality. There’s a host of smaller, but impactful changes to improve the user experience including newly designed images, datasheets and fitting instructions; a sample ordering device; and a new customer log in area where information can be saved for future visits. Plus, a finishes tool within certain pages, that displays Lorient’s versatile options for its acoustic, smoke and fire seals and architectural seals. Visitors to the website can explore a selection of Lorient’s high-profile case studies from a diverse range of sectors including commercial, industrial and public buildings. The website will be continually updated with latest company news and developments. It is also fully responsive with mobile devices, making it easy to navigate on a wide range of web browsers and devices.